Ask 99% of the general public to describe Gymnastics and they will always mention bars, beam, rings, vault and floor. Ask them what Acrobatics is and they will talk about clowns in the circus. 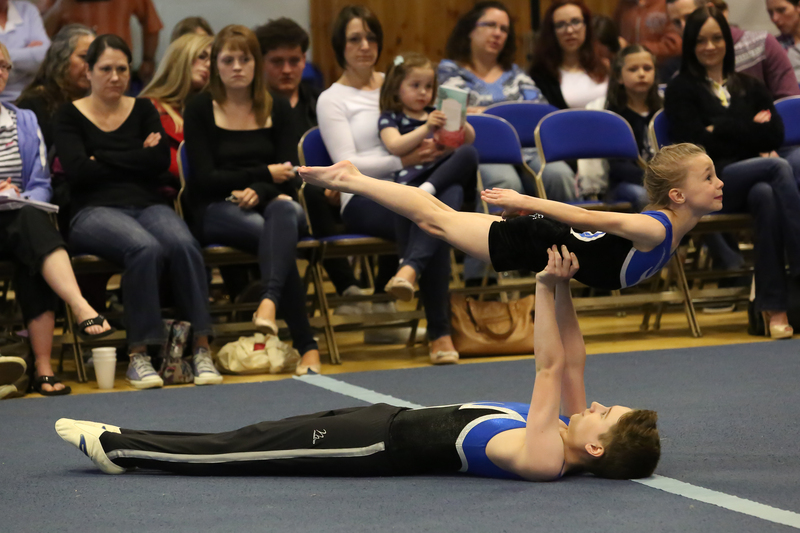 For the many Acrobatic gymnasts taking part in the discipline this can be so frustrating! 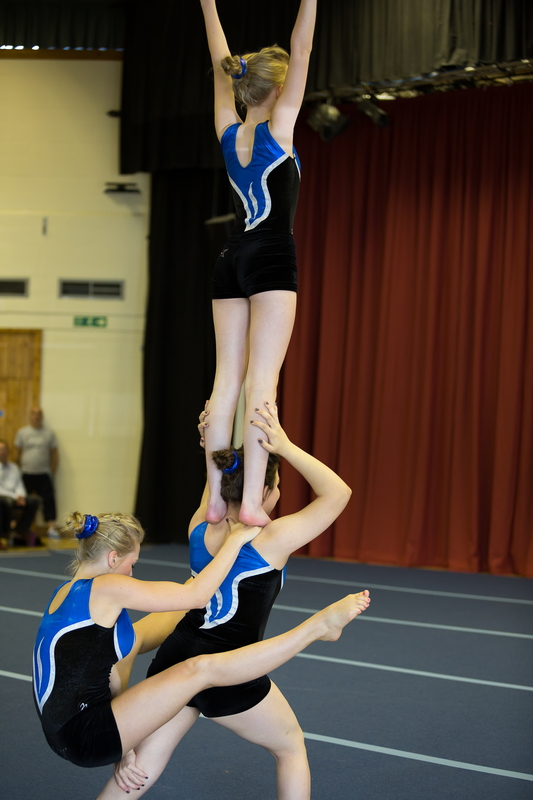 Acrobatic Gymnastics is an activity that emphasizes the combined beauty of Dance with Gymnastics skills. Acrobatic balances show grace, strength and flexibility. Choreography and synchronization add flare and creativity to each exercise. It favours body control in various positions, both on the ground and in the air. For this reason, the sport is included in the training program of pilots, cosmonauts and parachutist (it’s true.....look it up). 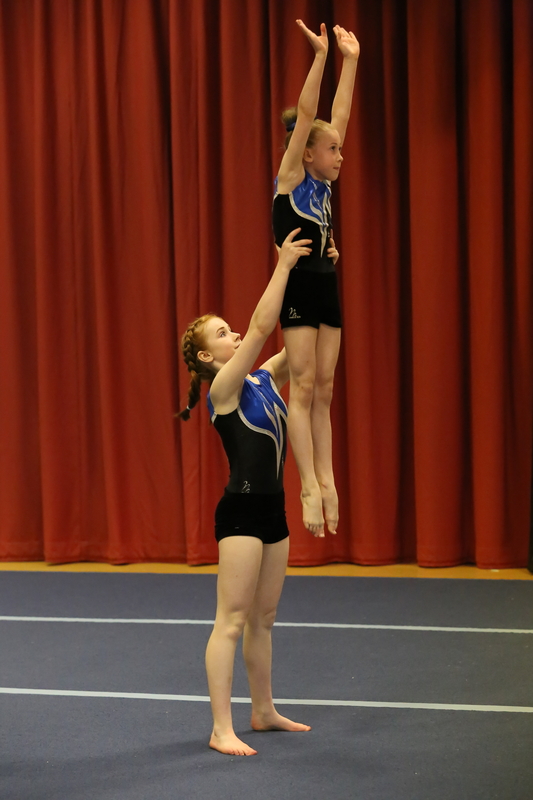 Acrobatic Gymnastics is fun for athletes of any age and athletic ability. This sport is a partner sport requiring athletes of all ages, shapes and sizes. Acrobatics require a combination of sizes and maturity of gymnasts. Pairs - Are made up of a base and a top (men’s, women's or mixed). Women's groups - Are comprised of a base, a middle, and a top partner. Men's groups - Have a base, two middles and one top partner. Bases - Are generally older athletes that display strength and balance. 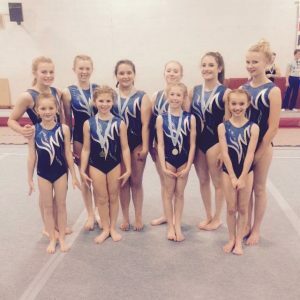 Tops - Are generally younger athletes and display flexibility and agility. Middles - Are often required to show a combination of all attributes. Acrobats will also be expected to perform Tumble elements to a high level. 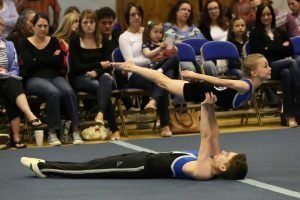 Acrobatic Gymnastics draws its basic elements, that shape the sport's physical expression, from the same source as other gymnastics disciplines. Choreography, agility, balance, strength, grace and artistry create the exciting routines performed on the floor.